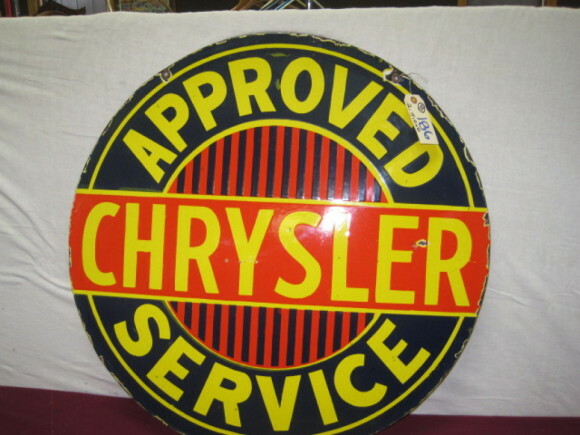 This double-sided Chrysler Approved Service is 30″ round. The sign is yellow, red, and black in color. The center of the sign has red and black stripes. The current value of this sign is around $400 in the condition shown above.